50% Silk/50% Alpaca yarn from La Droguerie, this yarn is absolutely A. Maz. Ing! It feels like crocheting a cloud whenever I use it. So light, so soft, so comfortable in which to work. I covet it. Every single horribly expensive inch of it. She is having a “Squirrel it away cowl” Crochet Along/Knit Along which goes through October 28, 2013 so I’ve started a lovely crochet cowl using a couple of lace patterns for my MIL. 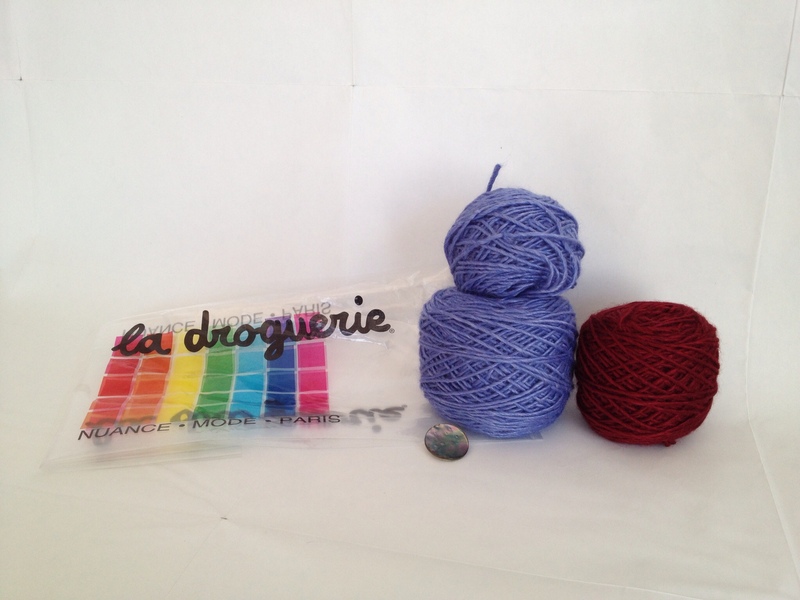 La Droguerie has shops in France and Japan and is a cute little yarn shop with lots of buttons, beads and baubles to make the most adorable and boho yarn-y things. Scarves with beads, little creatures with button-y eyes. Beautiful yarns in the most beautiful colors make this yarn shop absolutely worth the visit if you happen to be in France or Japan.